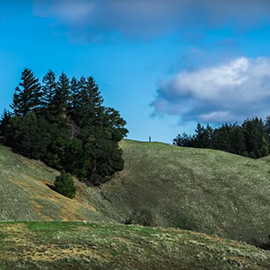 Join Scott on a photo trip through the Marin Headlands north of San Francisco, California. Forests, rolling hills, and beautiful overlooks of the Pacific. Location research, travel plans, gear choices – all the up front work before trip. Then, join Scott on location as he works through the in-the-moment decisions of composition and camera settings. Following an after-shoot debrief and image review, the video wraps up with the end-to-end post processing of his favorite photo from the trip. This video course download is ~288MB. Videos, Presets, and Textures bundled together at a discount.